The RFP process begins when city departments have a need for a product or service and write a formal description of it to distribute to vendors. Once vendors respond, the city vets the bids and then makes a selection based on getting the best price and value for what is needed. Three council members sponsored the bill, which was written and introduced in the wake of a lawsuit and a PublicSource investigation that highlighted concerns regarding the city’s relationship with B-Three Solutions. The news stories and lawsuit revealed that much of B-Three’s work had not gone through the RFP process, despite the company doing at least $4 million in business with the city since 2006. The contractor has built software for multiple city departments, but most notably for the Pittsburgh Bureau of Police. The measure does not substantially change the city’s RFP process but creates a special committee of city council members and other experts who would be involved in considering RFPs earlier in the process. The group is meant to provide oversight and its expertise on the RFPs after the descriptions are written but before they’re sent out to vendors. Currently, each city department and the Office of Management and Budget handle the RFP process and city council is only brought in once a vendor is chosen and the city is ready to set up a contract. The bill specifies that the special committee be brought into the loop before the city is ready to contract with a company. Council members Theresa Kail-Smith, who represents the West End, and Corey O’Connor, who represents Hazelwood, sponsored the bill along with councilwoman Darlene Harris, who said the measure is important for transparency. Read more of PublicSource's coverage of the police bureau's relationship with B-Three here. O’Connor said the committee, once it is formed, will work out key details, such as which RFPs it will review. For example, the committee could choose which RFPs to review based on dollar amount or which department the contract is for, O’Connor said. Kail-Smith said on Tuesday that she plans to submit amendments to the bill — including drafts of the committee’s policies and procedures — as early as next week. The proposed amendments would go to council for review. O’Connor stressed that the committee wouldn’t seek to write RFPs and wouldn’t have a say in which vendors do and don’t get chosen. Rather, he said, the committee will ensure that the city doesn’t enter into harmful contracts. “You don't want to get locked into a contract that you can't get out of,” he said. But he doesn’t want the committee to be “obstructionist,” he said. Council President Bruce Kraus has until June 1 to bring the committee together. The committee’s tasks include issuing a report on how it will review RFPs, how it will comply with existing laws, how it will be transparent and suggestions for changing city codes. 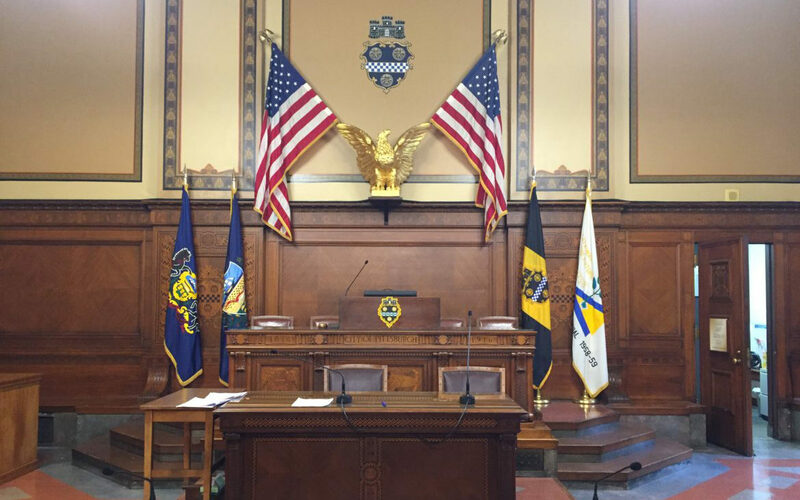 It’s unclear who will serve on the committee, though O’Connor and Harris said it’s likely that Kail-Smith and Bill Urbanic, the budget director for council, will take up two of the four seats. Harris said the committee will cause some friction, no matter who serves on it. A Pittsburgh police officer who filed a federal whistleblower lawsuit in February against the city and one of the Public Safety department’s top officials resigned Monday morning. Officer Souroth Chatterji, who joined the department in 2012, claims in his ongoing lawsuit that he faced retaliation for uncovering what he viewed as “waste and wrongdoing” in the city’s handling of police technology.